Our green transportation fleet of Toyota Prius sedans are leather appointed luxury sedans that actually only have little less leg room and luggage capacity compared to our towncar sedan counterparts. The Prius affords an unbelievable amount of rear seat space and cargo room for the size of the vehicle.We rate the Prius sedan for 3 passengers with luggage. For the lone business traveler the Prius afford more than ample room to stretch your legs and store luggage. Currently all of our vehicles are equipped with power converters that allow power access for laptops and mobile DVD players. We also have hybrid Toyota Highlanders available for larger parties. The Toyota Highlander is a midsize SUV class vehicle that with its third row seat can accommodate up to 6 passengers with minimal luggage or 4 passengers with heavy amounts of luggage. and are in the process of acquiring CNG Mercedes Benz Sprinter Vans for even larger capacities and parties. All vehicles are driven by experienced and local professional driving staff. In addition to our own Fleet we also have developed relationships with the leading providers of mini coach and full size coach transportation vehicles who have committed to a similar environmental goal as we have. We have formed an official affiliation with these providers and are calling it the New E.R.A. of Transportation. E.R.A. stands for Environmentally Responsible Alliance of Transportation. The members of this green transportation coalition have not only committed to do everything possible in their day to day operations to be environmentally friendly but also contribute to an organization that plants protected trees to off set their carbon emissions. Beyond its fuel-sipping ways, the Prius features loads of available high-tech luxury goodies, which should appeal to those who are trading out of a pricier luxury car, as well as those cross-shopping the Prius against midsize sedans like the Accord and Camry. 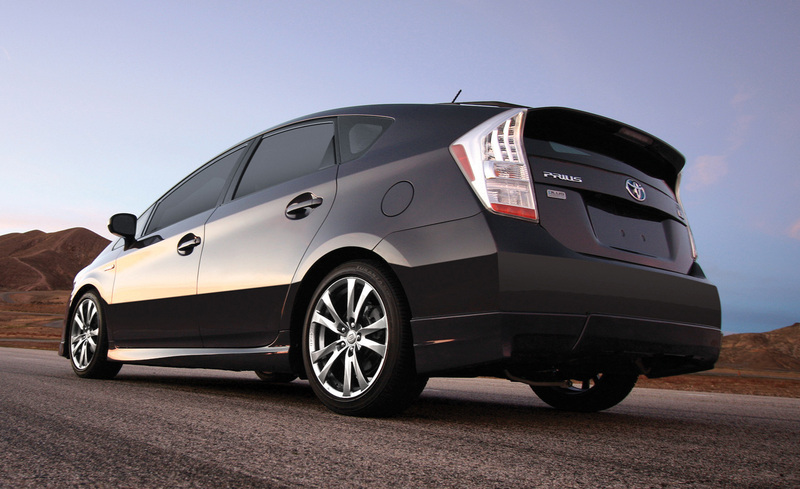 Moreover, the Prius stands out against such sedans by offering a funky but uniquely space-efficient body design. Believe it or not, there’s more backseat legroom than a Ford Crown Victoria, with ample hatchback cargo capacity to boot. It may not look big from the outside, but climb inside and you’ll find the Prius surprisingly large and utilitarian.